We can’t be trusted to be alone. 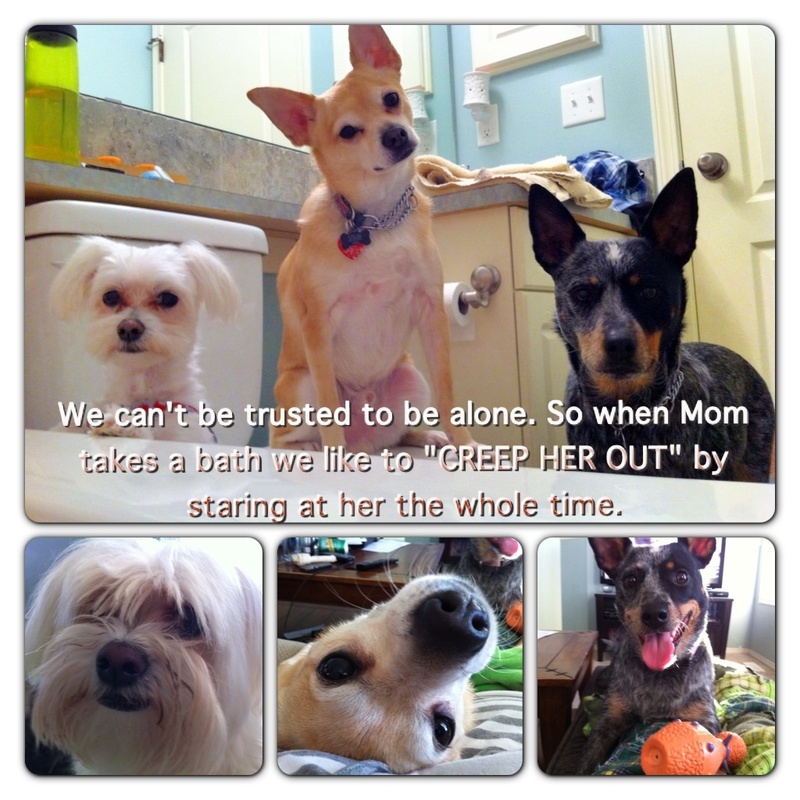 So when Mom takes a bath we like to “CREEP HER OUT” by staring at her the whole time. OMG how cute are they??!!! So adorable. Little life guards! They’re not creepers, they’re life guards! Nothing like a nice relaxing bath, with a glass of wine, maybe a good book, and three dogs staring at you the whole time. They were simply taking on the roles of the judges on America’s Got Talent. when you do not pay attention to them, that’s when they want attention the most. Now this is triple creepy ! I wonder what they are thinking ? My cat did that too – until he accidentally fell into the tub. Since then he comes in, looks at me a moment, and leaves. I love the little one sitting on the toilette.